GIANTmicrobes is proud to partner with the following charitable organizations. They are dedicated to medical research and public health education. GIANTmicrobes will donate a portion of your purchase of specified products to support these important causes. If you are interested in partnering with GIANTmicobes, please email us at charity@giantmicrobes.com. The Michael J. Fox Foundation is dedicated to finding a cure for Parkinson's disease through an aggressively funded research agenda, and, to ensuring the development of improved therapies for those living with Parkinson's today. Proceeds from your purchase of GIANTmicrobes Brain Cell will be donated to MJFF. amfAR, The Foundation for AIDS Research, is one of the world's leading non-profit organizations dedicated to the support of AIDS research, HIV prevention, treatment education, and advocacy. Proceeds from your purchase of GIANTmicrobes HIV will be donated to amfAR. Rotary International is a global network of people of action dedicated to making the world a better place through volunteer service. The global eradication of polio has been Rotary’s top priority since 1985, with members donating time and money to help immunize more than 2.5 billion children in 122 countries. Since the global initiative began more than 25 years ago, Rotary and its partners have reduced polio cases by more than 99.9% percent worldwide. Proceeds from your purchase of GIANTmicrobes Polio will be donated to Rotary International. 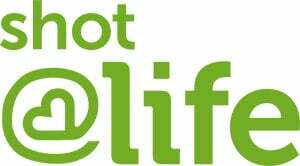 The United Nation’s Foundation’s Shot@Life campaign educates, connects, and empowers individuals to champion global vaccines as one of the most effective ways to save the lives of children in developing countries. It has helped deliver millions of lifesaving vaccines around the world. Proceeds from your purchase of GIANTmicrobes Pneumonia and Diarrhea will be donated to Shot@Life. Letters to a Pre-Scientist connects 5th - 10th grade student “pre-scientists" from low-income communities with real scientists as pen pals. The mission is to demystify science careers by creating personal connections between students and real scientists. Proceeds from your purchase of GIANTmicrobes Muscle Cell and Skin Cell will be donated to LPS. Gift of Life Marrow Registry helps children and adults suffering from blood cancers and genetic disorders find matching donors for stem cell and marrow transplants. Joining the registry is easy and requires a simple swab from the inside of your cheek. Proceeds from your purchase of GIANTmicrobes Stem Cell will be donated to Gift of Life. Your purchase supports NFID in its mission to educate the public and healthcare professionals about the causes, prevention, and treatment of infectious diseases. Proceeds from your purchase of GIANTmicrobes vaccine products will be donated to NFID. Your purchase of our Breast Cancer cell is supporting NBCF’s early detection, education and support services. Proceeds from your purchase of GIANTmicrobes Breast Cancer will be donated to NBCF. Created by the United Nations Foundation, Nothing But Nets is the world’s largest grassroots campaign to save lives by preventing malaria. It has helped deliver millions of bed nets and other malaria interventions to families in need. Proceeds from your purchase of GIANTmicrobes Malaria will be donated to Nothing But Nets. Malaria No More’s mission is to mobilize the political commitment, funding, and innovation required to end malaria within our generation. Proceeds from your purchase of GIANTmicrobes Anopheles will be donated to Malaria No More. Global Lyme Alliance is dedicated to funding ground-breaking research to find accurate diagnostics and a cure for Lyme disease. It is also committed to education programs for medical professionals and the community. Proceeds from your purchase of GIANTmicrobes Lyme, Tick and Babesia will be donated to GLA. Vitamin Angels provides lifesaving vitamins to mothers and children at risk of malnutrition — reducing preventable illness, blindness, and death — to create a healthier world. Proceeds from your purchase of GIANTmicrobes Vitamin A will be donated to Vitamin Angels. 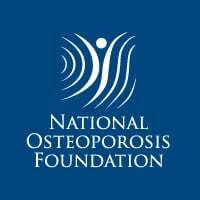 National Osteoporosis Foundation is the nation’s leading health organization dedicated to preventing osteoporosis and broken bones, promoting strong bones for life and reducing human suffering through programs of awareness, education, advocacy and research. Proceeds from your purchase of GIANTmicrobes Bone Cell will be donated to NOF. Your Zika purchase will help provide care and distribute supplies to Zika affected areas. Proceeds from your purchase of GIANTmicrobes Zika will be donated to Direct Relief. 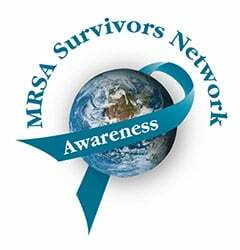 Your MRSA purchase will help the MRSA Survivors Network, dedicated to providing support, awareness and education. Proceeds from your purchase of GIANTmicrobes MRSA will be donated to the MRSA Survivors Network. Proceeds from your purchase of GIANTmicrobes Sleeping Sickness will be donated to UAEM. 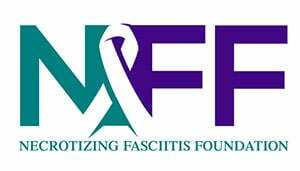 Your Flesh Eating purchase will help the Necrotizing Fasciitis Foundation, providing education, awareness and support to those affected by Necrotizing Fasciitis. Proceeds from your purchase of GIANTmicrobes Flesh Eating will be donated to the Necrotizing Fasciitis Foundation.